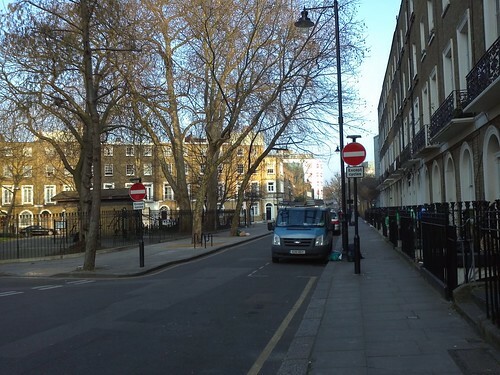 The ‘No entry’ with ‘Except cycles’ plates have now been installed on all the sections of one-way street in the area between Euston Road, Grays Inn Road and Tavistock Place – bounded on the west by Argyle Street. 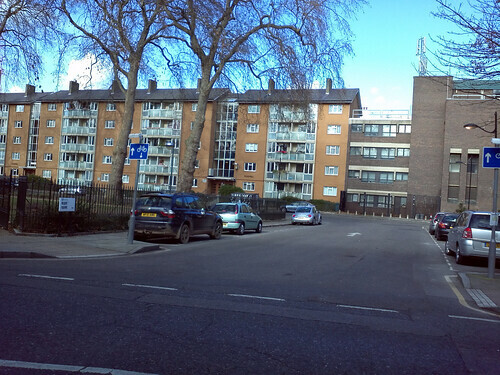 Some small details still need to be done, such as an exit treatment from Crestfield Street to Euston Road. 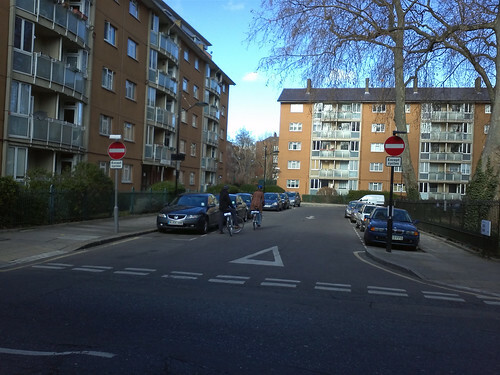 The replacement of a complex tangle of one-way streets by two-way cycling in all of them has opened up many possibilities for legal cycle routes through this area. 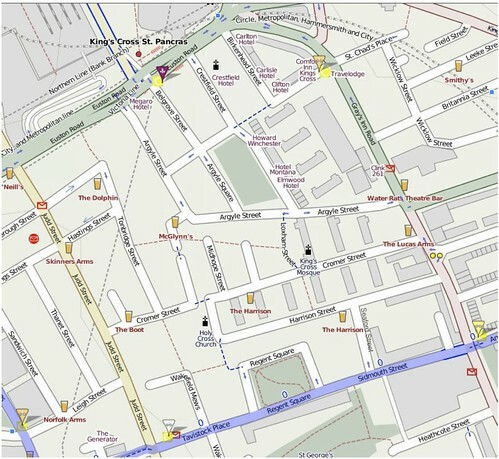 The streets affected are shown on the OSM cycle map before the two-way cycling was introduced. Click the map or any one of the photos to see a larger image. You can now cycle in both directions along the full length of Argyle Street between the library at the junction with Euston Road and the junction with Grays Inn Road. Technically, you can’t actually cycle into Argyle Street from Euston Road. 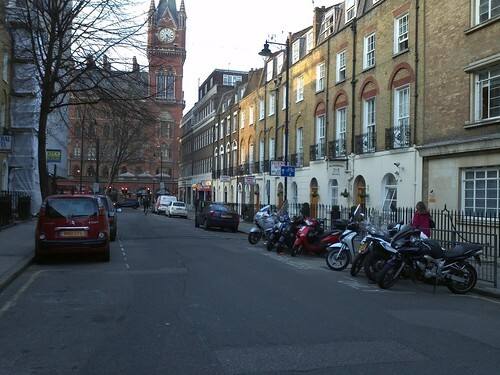 For other vehicles, it still is 1-way eastbound from Argyle Square (east) to Grays Inn Rd; and 1-way west and then northbound from Argyle Square. We have always wondered how Camden officers coming on bikes from the south managed to reach their offices in Argyle Street. This is 1-way southbound for motors. 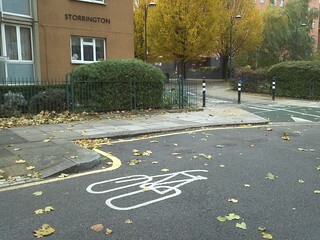 When the cycle hire station was installed, two-way cycling was introduced to Belgrove Street between St Chad’s Street and the cycle hire station. At that time, DfT didn’t allow ‘Except cycles’ plates to be added to ‘No entry’ signs, so the ‘Flying Motorcycle’ signs were used instead. LB Camden has rather over-egged the specification by adding the exception plates! But although anyone taking a hire bike could have gone south through Belgrove Street and on through Argyle Square, there was no way to bring it back, as both sides of Argyle Square were one-way southbound and St Chad’s Street was 1-way westbound from Belgrove Street to Argyle Street. However, a study carried out by Richenda Walford in January 2011 showed that between 17.16 – 17.46 (30 mins.) 50 northbound bikes were returned to the dock and that nobody had come to any harm from cycling the wrong way. This was used as evidence in explaining the case to LB Camden last year. This is 1-way southbound for motors from Euston Road to St Chad’s Street, but now cyclists can use it in both directions, exiting at Euston road northbound. 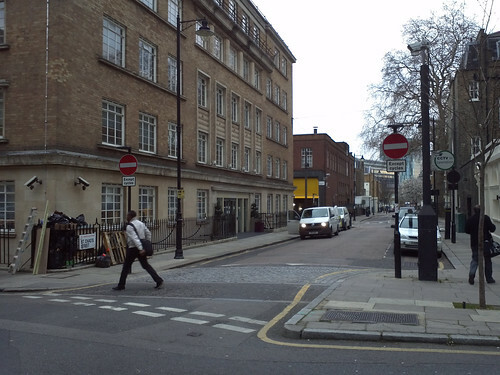 On 28th February, a two-way cycling sign had not yet been installed on approach to Euston Road. For motors, this is 1-way westbound from Belgrove Street to Argyle Street. 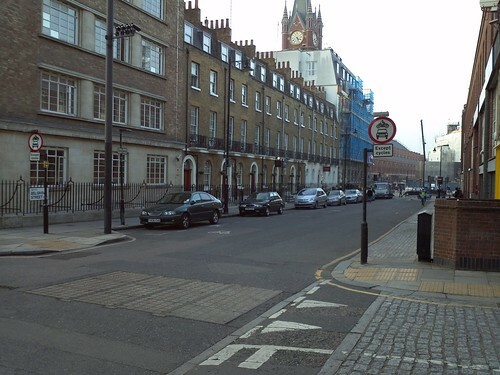 The 1-way eastbound section from Birkenhead Street to Grays Inn Road already had contraflow cycling. Now there is 2-way cycling all the way. 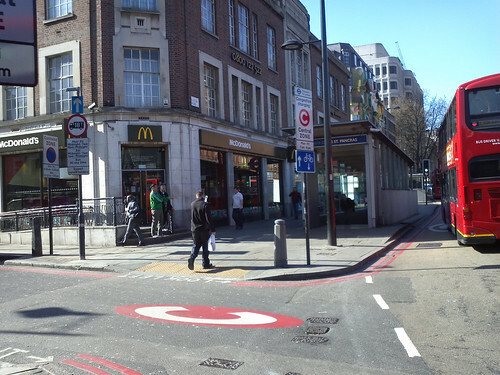 The new 2-way link to Argyle Street provides access northbound to Euston Road via Belgrove Street. For motors, the north side is 2 way, the east and west sides 1-way southbound; and the south side 1-way westbound. Now cyclists may travel in both directions all the way round. The ability to ride northbound on both sides of the square permits a successful/legal return of a hire bike to the Belgrove Street hire station. For motors, Seaford Street is 1-way northbound between Sidmouth Street and Harrison Street, but now it allows two-way cycling. This will open up routes between Kings Cross and Grays Inn that run parallel to Grays Inn Road on quieter roads. 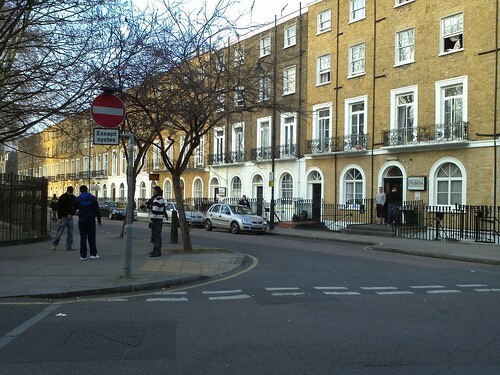 For example between Belgrove Street/Argyle Street, Whidbourne Street, Harrison Street, Seaford Street past the rear access through Westminster Kingsway College to Meckleburgh Street, Doughty Street and John Street. We had hoped to have two way cycling in all of the streets east of Judd Street. 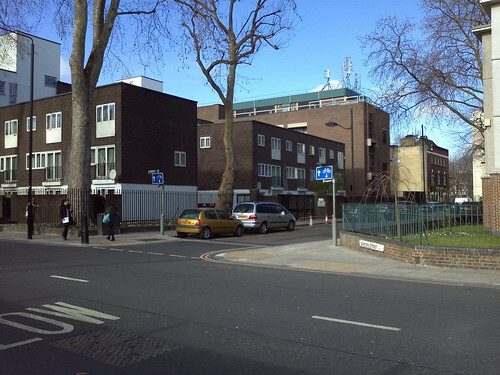 However the proposals for Bidborough Street, Hastings Street and Tonbridge Street were turned down after consultation – on the grounds of width. 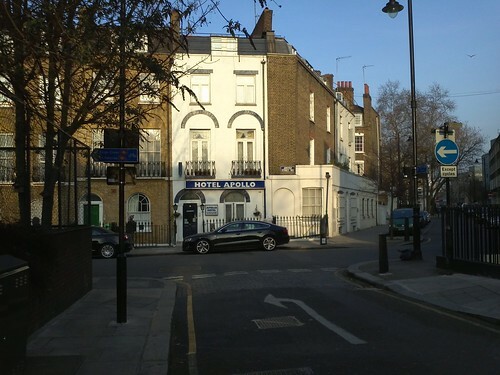 We do hope eventually that the case for Bidborough Street will be reconsidered, particularly when the Argyle Street Library and Council Office site is redeveloped. We are very keen that a cycling/walking link should be made through the current garden so as to rejoin Bidborough Street and Argyle Street. 1. 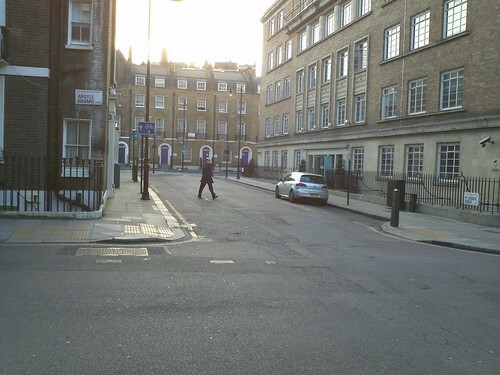 Now that Regents Square is two-way for cyclists, those approaching from the west on Tavistock Place should turn left on first reaching the square. 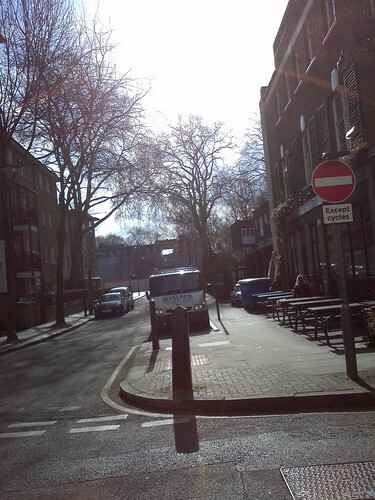 Therefore the sign indicating the route to Kings Cross needs moving to the west of this junction. 2. 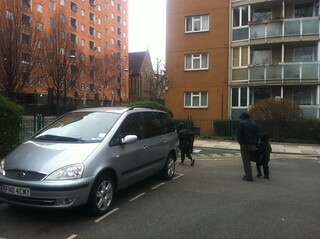 The car parking space close to the link from Regents Square to Harrison Street needs to be removed to improve visibility. This was done in summer 2012. This is a very successful scheme and really has improved permeability through this area. 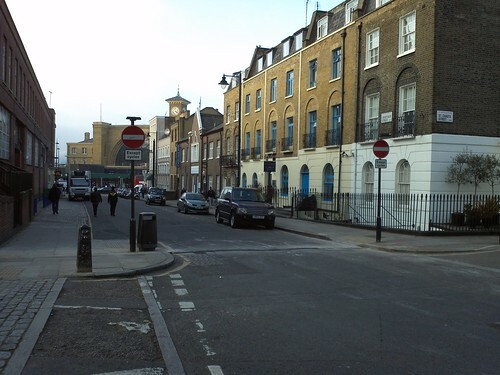 The design and implementation of this scheme including selling it to the locals and adjusting to their comments was quite a lot of work for the officers concerned. Have a look on the LB Camden website. Then towards the bottom of the page (under ‘Results’) follow the link to the officer’s report– one of the best I’ve seen.